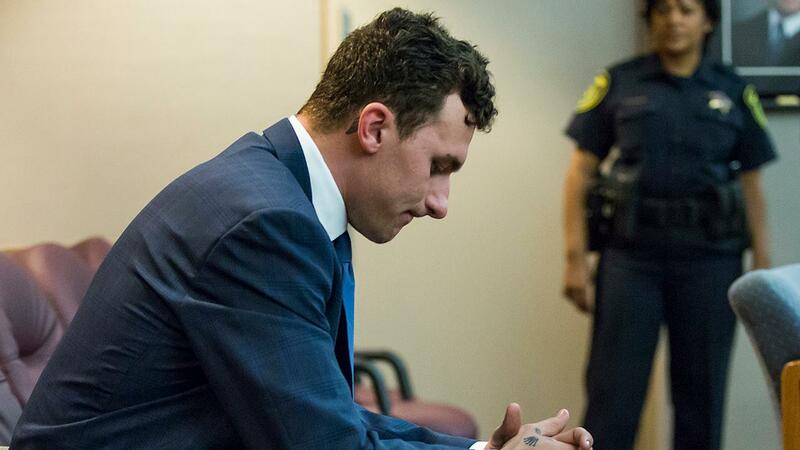 According to TMZ Sports, 2012 Heisman Trophy winner with the Texas A&M Aggies and the former starting quarterback for the Cleveland Browns "Johnny Manziel will be suspended for the first 4 games of the 2016 season for violating the NFL's substance abuse policy." Manziel currently is a free agent after Cleveland cut him at the start of the 2016 football season in March. Given his troubles off the field, it would be shocking to see any NFL team considering picking him up before Week 5 after his suspension has been served. TMZ reports that "the suspension does NOT roll over– meaning if [Manziel] signs a contract for the 2017 season, he wouldn't have to miss a game for this particular infraction." Though the four-game suspension may jeopardize Manziel's likelihood of signing with a team before Week 5, it might actually be a great for him to get his life back on track. Manziel stated that after he gets back from vacation in Cabo San Lucas on July 1st that he will begin his NFL comeback and be on the straight and narrow. With presumably at least a few starting quarterbacks getting hurt before the first quarter of the NFL season has come and gone, the free agency market for talented passers might be thin enough for a team in dire straits with their quarterback depth chart to take a chance on Manziel. Though undersized and very much a scrambler in the backfield, Manziel does have the ability to extend plays with his feet and throws an accurate deep ball. While it seems like a long shot that he'll play for any team in 2016, the suspension in some way actually makes it easier for him to sign with a team this fall, knowing that all 32 front offices will have the upper hand in negotiating a contract for a suitable, but troubled backup quarterback.